Ever since I started blogging, I have had the chance to find out about other women in business doing what they love while staying home with their kids. The intention of this blog has all along been to share a journey of motherhood and creative work. 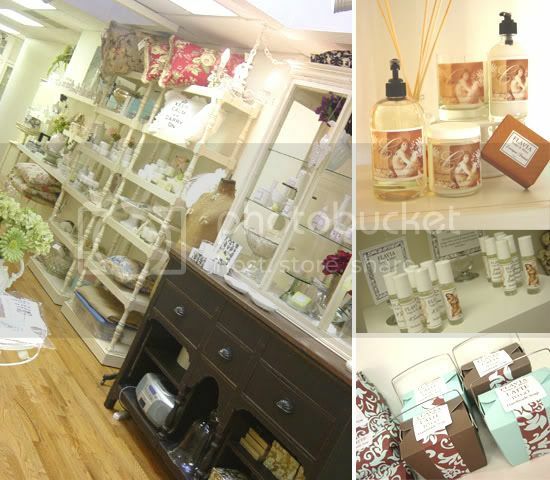 Today, I am thrilled to introduce you to Chiara of Flavia Soaps & More, an elegant boutique in NJ. Hi my name is Chiara Reynosa and I am the designer and owner of Flavia Soaps & More, a small retail boutique in Nutley, NJ. 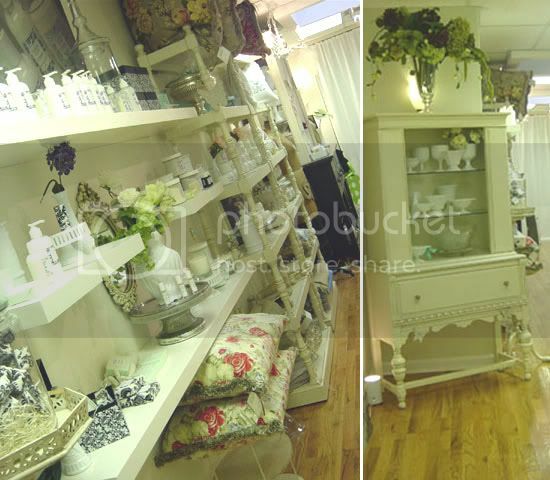 I created and named my shop after my daughter Flavia was born. I handmake soaps, candles, lotions and lots of apothecary items along with handmade things like jewelry, albums, invitations, ephemera, etc.. Anything that is handmade! Yes!! I was a graphic designer for years and loved to design and create things, but after my daughter was born I found myself having a dificult time leaving her and going to work, so I made the sacrifice to leave my secure job and start my own business, my own schedule, so I can spend all the necessary time with her. I missed my steady check, but I am so happy to be home with my family, it is priceless! 3. How do you run a business while being mother to a young child? It is very difficult, everyday the schedule changes, I have my daughter Flavia who is 12 years old and my baby Giovanni who is 1 year old, so I spend my day time taking care of him and driving my daughter to activities, school, etc… I make a list every single night, it is a must, I tend to forget things if I don’t. Of course my hopes are to at least accomplish half of the list after the kids and my husband go to bed and I am by myself, I am a night person anyway, alone at night is when I can think clear and do my work. 7:00 am baby is up, so I am up…time to feed him and get Flavia ready for school. My husband helps me by driving her to school. 8:00 Coffee time, a must, espresso, of course, with milk. Enjoy my coffee while Giovanni watches Elmo. I check my emails, respond my emails, check my favorite blogs, make a list of what needs to be done today, call my mother. 9:00 am we get ready to go out for a little bit, I do my errands, bank, food shopping, etc. 12:00 lunch time for Giovanni, Milk, pastina with vegetables and fruit, I make myself a light lunch and drink lots of water. Giovanni takes a nap and that is when I try to get some work done, organize materials for projects I will be working on later that night, check my emails again. :30 Giovanni wakes up…work is over, time to get ready to go pick up Flavia from school. 12-1 am or later…I go to bed to get some rest and start my day again!!!! Materials inspire me to create new things, fashion, packaging, blogs, all great source of inspiration. 6. How do you balance work and family? It is nearly impossible to accomplish everything I want to and would like to do…I am happy if I can get somethings done, I find happiness in enjoying my kids and my husband, and when I am happy I tend to work better, I try to remind myself that I can’t do it all…and that is ok! Being able to DO IT ALL, finish all my projects and not be exhausted at the end of the day!!! My kids!!!! God I love them so much, they are my 2 best creations!!! Stay tuned for a fabulous 48 hours giveaway from Flavia Soaps & More coming up tomorrow. The post Interview :: Flavia Soaps appeared first on Le Papier Blog.